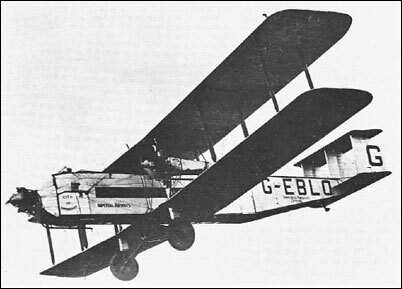 One of three new types of airliner ordered by Imperial Airways on its formation in 1924, the others being the Handley Page W.8f and de Havilland Hercules. First flown on 16 March 1926, the Argosy was the aeroplane that introduced luxury air travel on regular services, except for the pilot, who still sat out in the open up front. The Argosy had a steel-tube fuselage and all-steel wing construction and was powered by three 385 hp (later 420 hp) Armstrong Siddeley Jaguars. 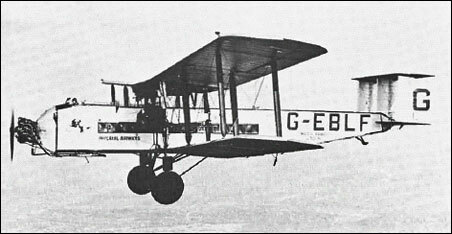 Three Mk.I machines entered service with Imperial Airways on August 5, 1926, and inaugurated the world's first named luxury air service-the lunchtime Silver Wing from London to Paris-in May of the following year. Accommodation was reduced from 20 to 18 Passengers, to make room for a steward and buffet. The four 28-seat Mk.II Argosies followed in 1929 and were had more powerful (420 h.p.) engines in circular, rather than square, nacelles, and the addition of Handley Page slots and servo-tabs on the lower wing trailing-edge. These latter made the aileron controls finger-light and applied bank automatically in a sideslip or flat turn, which made the pilot's work very much easier. Argosies were not withdrawn from service until 1935. Length 64 ft 6 in. Wing area 1,890 sq. ft. Range 405 miles at 90 mph.